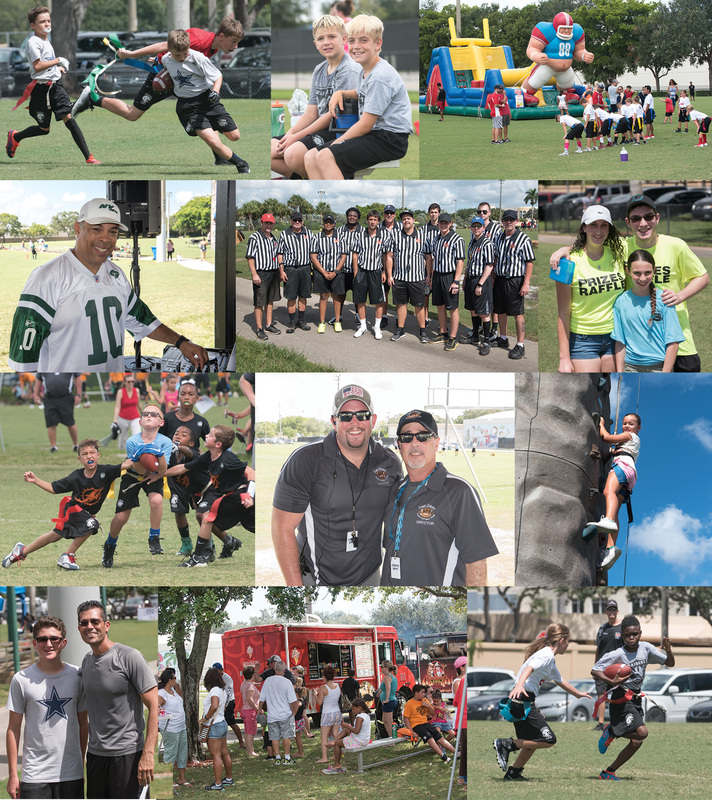 The Coral Springs Flag Football Club has certainly stood the test of time, and continues to draw in hundreds of youth gridders from one season to the next. For the 1972-established program, the games begin in late August and with playoff schedules, the season lasts until about the early part of November. But this year will be anything other than ‘just another season at the park’ for all participants. This time, the league decided to kick-off the games with a first-ever Jamboree. This season, nearly 300 players have been assigned to one of the CSFFC teams. Staying true to form over the years, the league still has its three divisions: freshmen (6 teams, ages 7-9), juniors (9 teams, ages 10-11) and seniors (6 teams, ages 12-14). Both the juniors and seniors play on 100-yard fields while the freshmen field spans 80 yards. Regardless of the division, however, each team has a 14-game regular schedule followed by a double elimination post season. Then, each division not only has its own Super Bowl, but they also recognize the outstanding players in an all star game. Teams, which follow the NFL names, are limited to no more than 4-and-a-half hours per week on the field, for good reason. 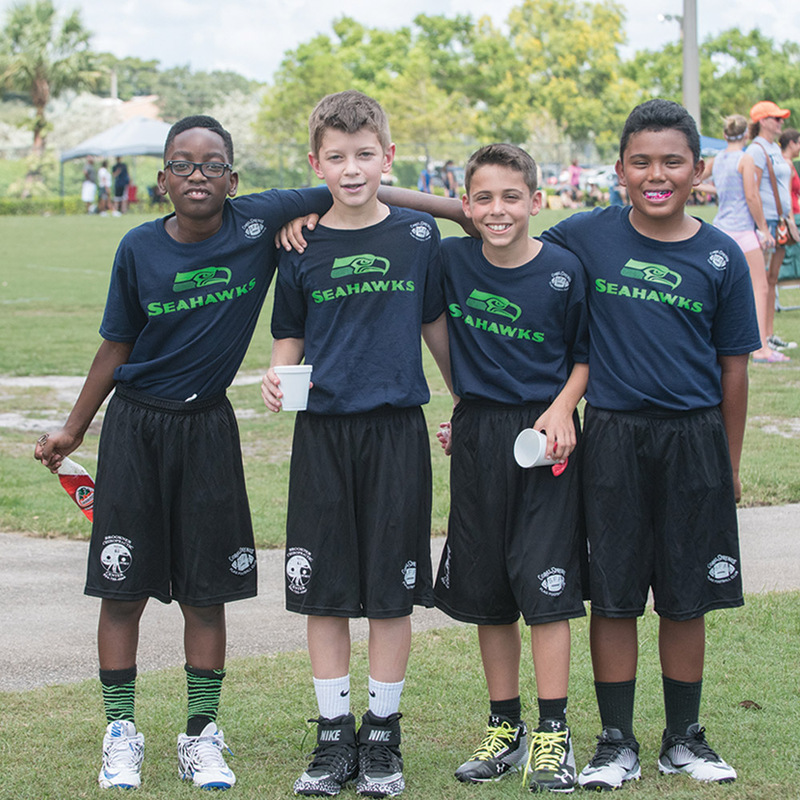 All games and practices are held at Mullins Park, and consist of 4, 12-minute quarters. “We know the kids enjoy playing/practicing but we want to be sure to leave ample time for other commitments they may have, such as school or other activities/sports they may take part in,” says Colin, who is joined by 9 other board members.